The filter made no difference but I tried another hose bib and that one came out at 7gpm. Gotta talk to the house builder what that is all about I guess. Luckily the other hose bib could still reach the pool, so at 7gpm we should be filled by tomorrow night. What a major difference!! Wonder why that one is so slow? Just wanted to let you know your plaster/water color could be a little off in the beginning. It will change as the water gets balanced and the plaster cures. Thanks Kim! Yeah right now it is a bit greenish. With the new flow rate I estimate the pool to fill up sometime tomorrow early evening and then I will move the hose to the spa. We will keep the camera on it too that way we can check in even while we are not home. 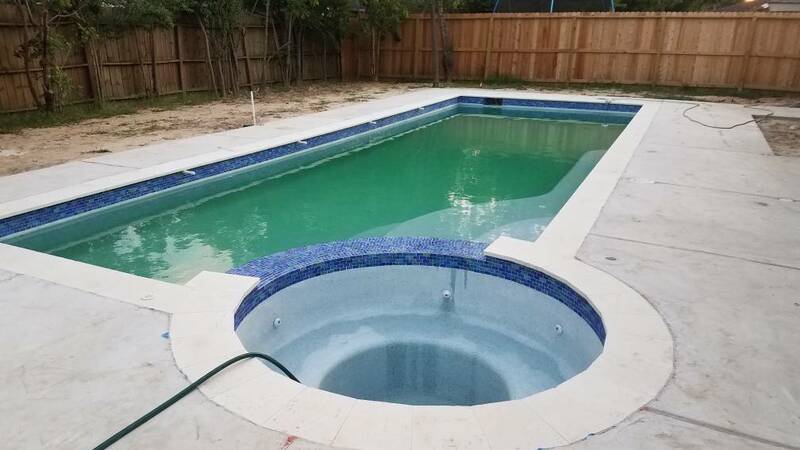 The pool builder will install the equipment on Monday and do the startup. I will have to ask him for the details but I assume typically it is daily brushing and water chemistry checking? The Pool is full! I just shut off the water. Per the water meter about 14,000 gallons after deducting a few hundred for showers, toilets and a couple loads of laundry this weekend as well as figuring about 1/4" of evaporation since we had 104 degrees with wind all day. The water temperature is already 93 on the surface. 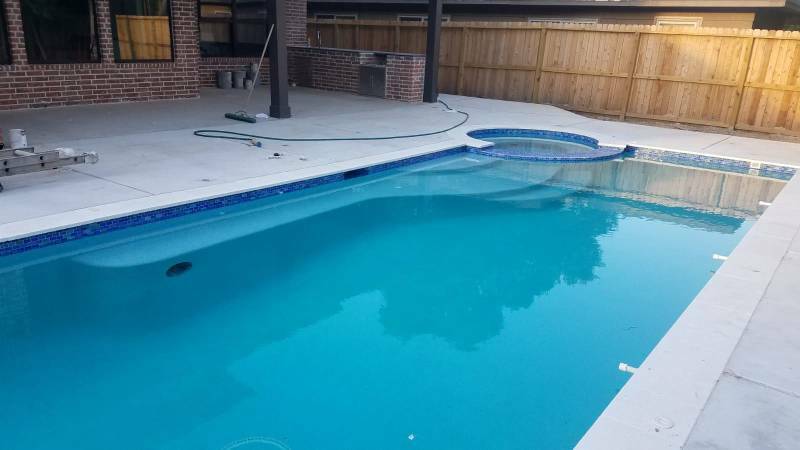 Due to our 1x2 water line tile I noticed the pool is approx 1/2" higher on one far end than the other. (3 tiles are showing on one end and 3.5 on the other). 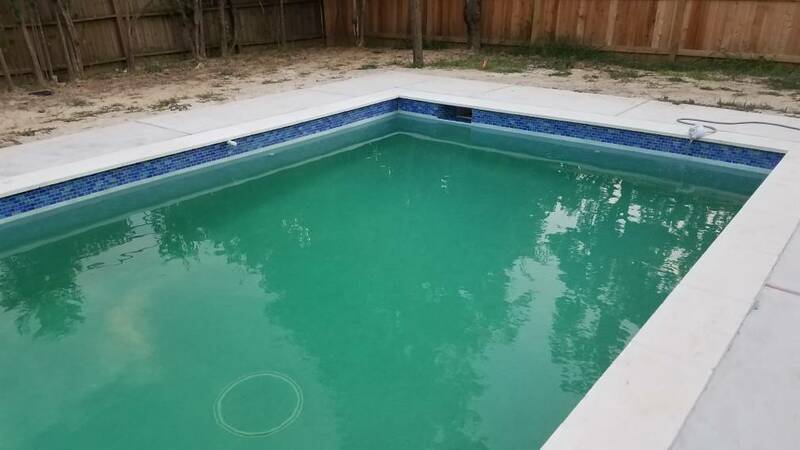 Is this variation normal for a new pool? The variation will stand out more with the small tiles as you are seeing. In a purrfect world there would be no variation but I assure you NO one will notice it as they admire your pretty pool! When will they be there to start everything up? Do you have some liquid chlorine on hand to put in that water? Ooooooooo, we all know how that water is going to turn into gorgeous sparkling clear water. It's going to be stunning! Already looking better today after the PB dumped a bunch of chemicals in it and brushed the pool. I tested the water and pH and alcalinity are in startup range. Only calcium is low. They haven't installed the equipment yet but that will come tomorrow so then the water will start to circulate too. Water is looking much better already! Once your water is TFP ified you will look back at the progression photos in amazement. Don’t worry about the level. No one will notice. I haven’t and won’t be checking mine. Looks level enough to me! Looking great! Congrats! What a difference in water color! BLUE! I see BLUE! It will only get better from here! Wow! That water is on its way to bea-u-tiful! Don't be surprised if the color changes again when the pumps are running. In other words, I hope you haven't gotten too attached to this stage of color. Lol!! The next 30 days will give you true appreciation for your salt system. Have plenty of bleach on hand!! However, I find they are not really following the document by not testing twice per day in the beginning, then not dosing with math and instead just "guestimating" because after 2 days the calcium level is still not where it should be. It also appears that they are only testing ph and chlorine and not for calcium or total alkalinity. I brought this up and they said they will start to manage total alkalinity later and that it's too early. 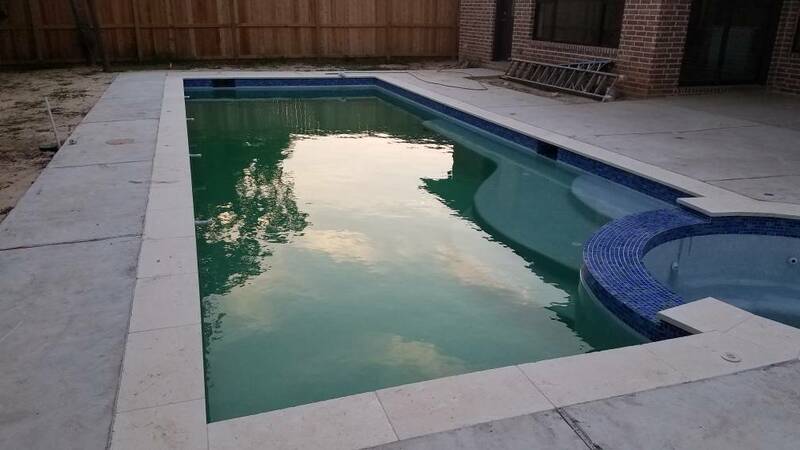 They also told me that they are adding liquid chlorine to avoid algae, but per Wetedge chlorine does not come until day 7? So overall my gut tells me I should insist on the start up procedure by the book per WetEdge? 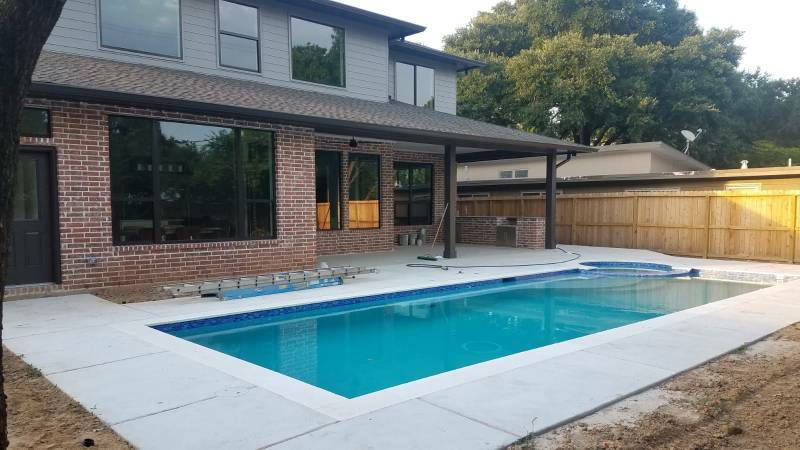 The crazy thing is they are listed on the WetEdge website as a WetEdge pool builder so you would think they follow their guidelines? No Expert Here: But I think you will be fine. You have probably the easiest finish to deal with as it has been acid washed and then polished, so you are already dealing with a better surface than normal plaster or most other types of pebble finishes that need to have the cream and top layers brushed and scrubbed. 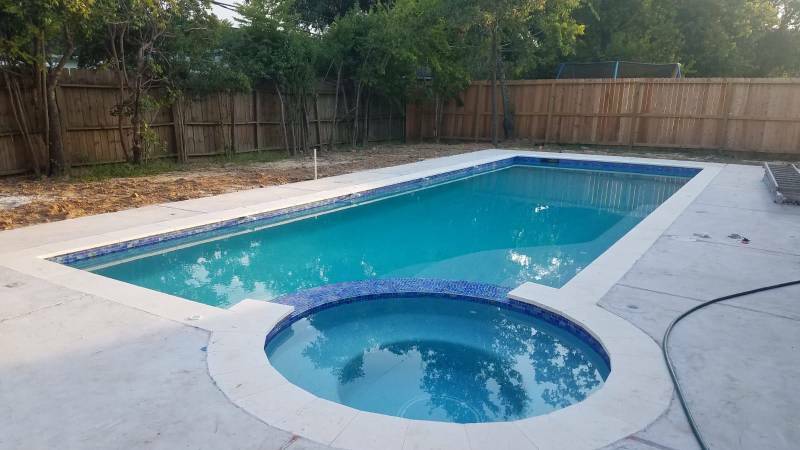 When I brushed our pool during the 30 day curing process I hardly saw any plaster dust ever, if I saw anything at all I bet it was dirt more than anything. 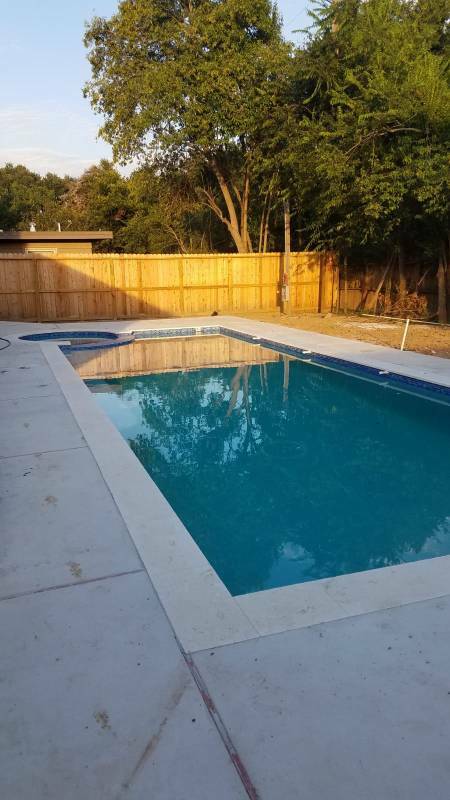 Never saw the builder again, and my finish is doing great and looks just like it did when it was first filled (it might be just a shade lighter after 4 swim seasons). So it sounds like a little chlorine is fine...despite the chart saying no chlorine. But it is hard and time consuming so............he is taking the easy way out. See if you can talk to him. Show him your test kit and that you know how to use it. Ask him if you can take over from here. See what he says BUT make sure to get it in writing!!! if he does allow you to take over. Make sure the words "Will not affect the warranty" are included. Who holds the warranty card? The PB or WetEdge? If you're not sure, call WetEdge. It's their product. Suz in for the WIN!!!! Do what she says!!! I'm freaking out - please let me know if this is an emergency and if I need to go to the store and buy pounds of baking soda! I came home and checked the water chemistry tonight and TA is at 10 and PH is as yellow as the chlorine marker, so way lower than the 6.8. I checked the PBs log (that I asked them to complete after every visit) and they measured PH 7.8 and noted that they added 2 gallons of muriatic acid. Per the pool math app that would bring the PH down to 6.2. Calcium is at 275. No other chemicals. My Orenda app does not even calculate the LSI correctly because the lowest I can set the PH is 6.5 but it must be under -2.0. So this water right now is extremely acidic. Do I need to address this right now and go to the store and buy baking soda to raise TA and PH or should I wait until tomorrow and talk to the PB? It is the morning now so I am too late to have you run to the store. I would TEXT (we want this in writing) the PB and tell him what happened and ask him what you should do while you are on the way to the store. It is almost as if they are doing a "hot start" but that should have been done from the very beginning if they were going to start it that way. Your plaster will be fine as it is only going to be for a short while. 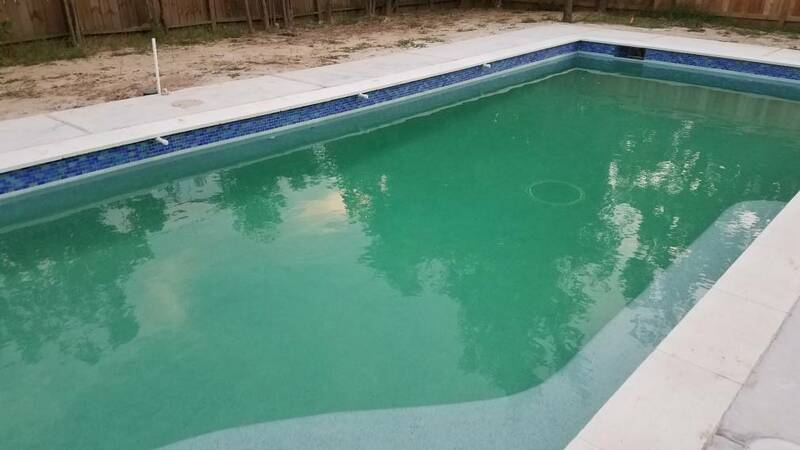 I would NOT swim in it until things get balanced again. Let us know what the PB says and we will go from there. i forgot to ask: any recommendations for a cheap manual pool vacuum? Since we will get a robot after the 30 days I don't need anything super sophisticated. I have a dedicated return line for the vacuum but thought maybe one that also has a skimmer plate is probably best in case I want to vacuum out larger leaves that I don't want in the cartridge filter?